We advocate in court on behalf of individuals who have experienced possible medical malpractice and those whose lives have been diminished by nursing home negligence or the horrific wrongful death of a loved one. It is a very scary prospect for so many people that their health might decline even further in a nursing home or hospital environment. The fact is, though, it happens. When a decision is made by healthcare professionals, or by family, that a loved one needs the professional resources a nursing home or hospital can provide, it is essential that decision makers have confidence in the chosen facility’s ability to provide appropriate care. Unfortunately, when a hospitalized individual’s health declines even further post-admission, a number of scenarios should be considered in order to ascertain if legal advocacy might offer some level of justice. Being afraid of getting sick, or sicker, in a hospital setting is a very natural reaction and concern. The fact is that nursing homes and hospitals carry a high risk of spreading infection or disease from one patient to the next. Most healthcare intuitions work very hard at maintaining sanitary conditions for every individual, but sometimes standards are not properly maintained and patients are put at risk. All the press we have been seeing about the exponential increase in confirmed cases of Ebola virus disease and Ebola hemorrhagic fever in West African countries of Guinea, Sierra Leone, Liberia and Nigeria is unnerving. With the ease and speed of international travel these days, Ebola is potentially only a twelve hour plane ride away from our shores. 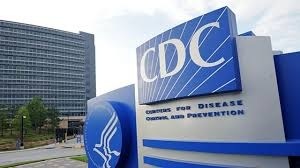 We are impressed at the information coming out of the Center for Disease Control (CDC) about the handful of American aid workers who have been brought back to the United States for treatment and the very high level of standards for containment and sanitation that US hospitals are practicing. We hope that many of these standards are appropriately practiced 24/7 & 365, as we say, for each and every single patient, in nursing facilities or hospitals. All patients everywhere deserve nothing less.